After a careful evaluation and clear understanding of why the mortar joints have deteriorated (or not, in the case of removing hard portland cement mortars) it’s time to repoint the wall. First, is the question of how deep to cut the old mortar out from the joints in preparation to receive the new replacement mortar. 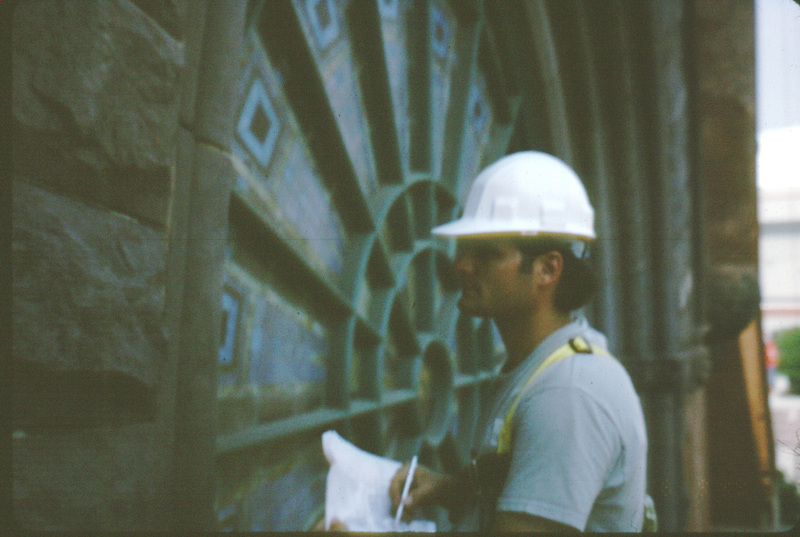 The Preservation Brief 2 “Repointing Mortar Joints in Historic Masonry Buildings 1998 published by the U.S. Department of the Interior’s National Park Service , Heritage Preservation Services gives us a good place to start. Old mortar should be removed to a minimum depth of 2 to 2-1/2 times the width of the joint to ensure an adequate bond and to prevent mortar “popouts”. 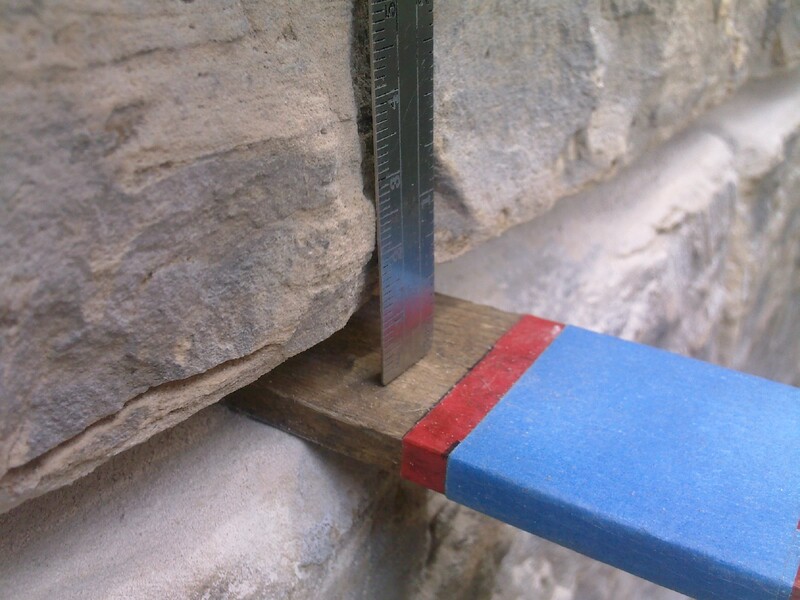 For most brick joints, this will require removal of the mortar to a depth of approximately 1/2 to 1 inch; for stone masonry with wide joints, mortar may need to be removed to a depth of several inches. Any loose or disintegrated mortar beyond this minimum depth also should be removed”(page 9). 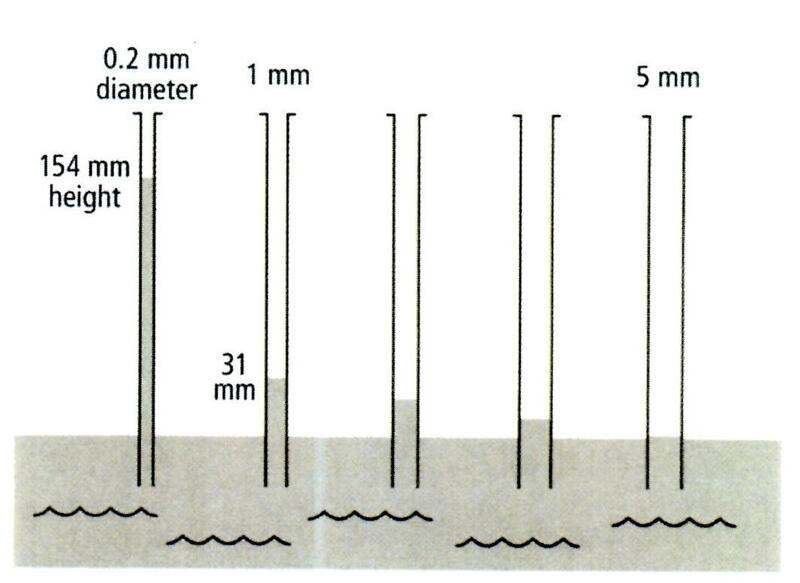 I like that the Brief advises on a range of mortar depths in correlation with the width of the joints. It makes sense to approach the removal in this way. Often I see contractors bidding repointing projects calling for the depth of the removal at ¾ inch. For most mortar joints that are the thickness of your little finger, about 3/8 inch, this is not deep enough. It does not cost the contractor any more money to remove another 1/4 inch of material during preparation and it makes for a better job. Luckily for the projects requiring the removal of hard portland cement mortars from old historic lime mortar walls, the contractors of years past, did not follow this quality protocol of 2 to 2-1/2 times, otherwise the portland cement mortars would be much more difficult to remove. Instead, we most often find these projects only skim coated with the harder material. It is important as a mason contractor to know what you are getting into prior to bidding a project that has been pointed in portland cement. 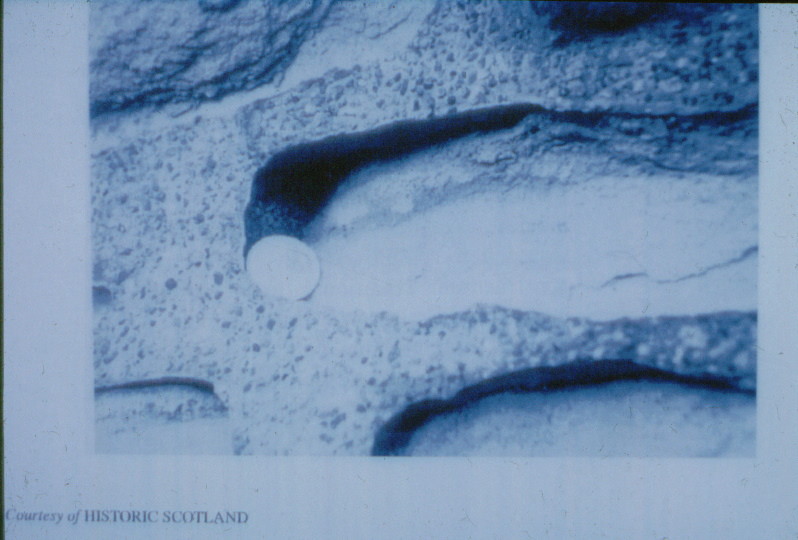 Questions you should be asking are; How deep is the non-original portland pointing?,… How hard is the mortar?,… and how difficult will it be to remove it without causing damage to the surrounding masonry units? Sometimes the only way to really know for sure about the answers to these questions is to commission a test panel prior to bid. 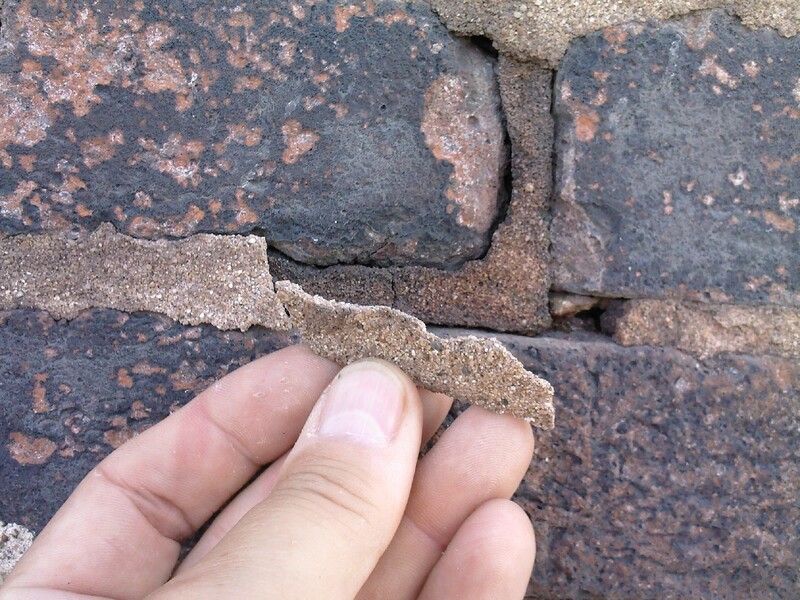 A four-step approach to removing mortar joints in historic masonry buildings has been the industry method and best practice approach now for the past 15 years or so. 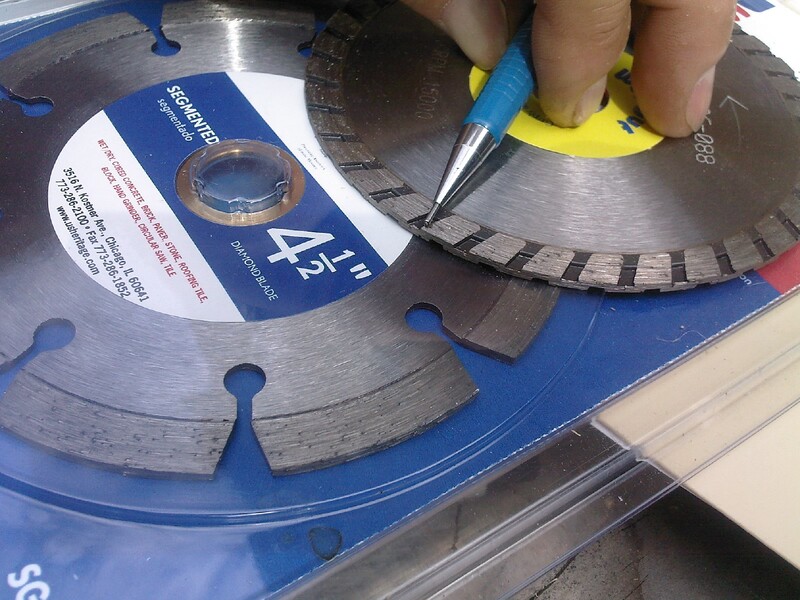 First, the use of thin diamond-blade (turbo-type) grinders has been successful in cutting down the center of the horizontal (bed) joints for the removal of hard portland cement mortars. Second, followed by hand hammer and chisels or pneumatic chisels, to remove the excess mortar from the top and bottom of the masonry units. The vertical (head) joints are removed by chisel and hammer once the bed joints are removed. 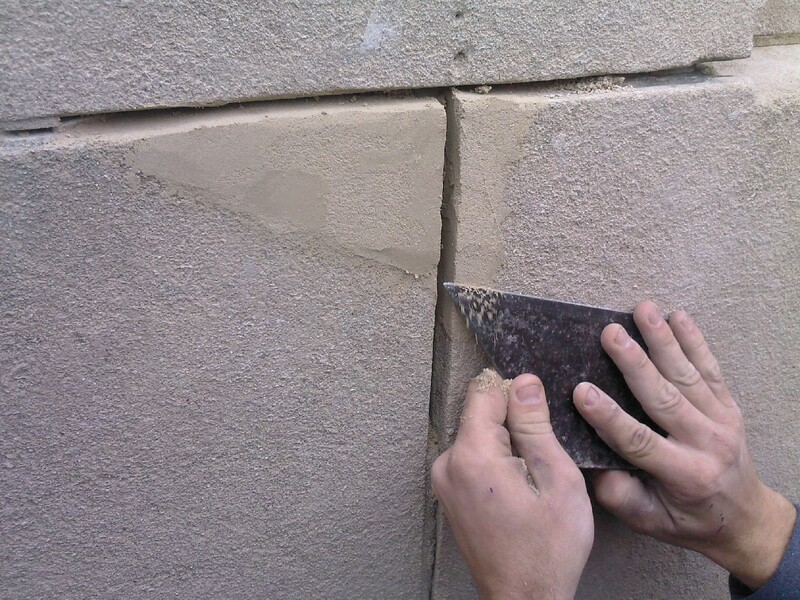 The third step is to use a caulking cutter with a diamond sickle type blade to clean the top and bottom of the masonry units and create a square cut back to the original lime mortar. 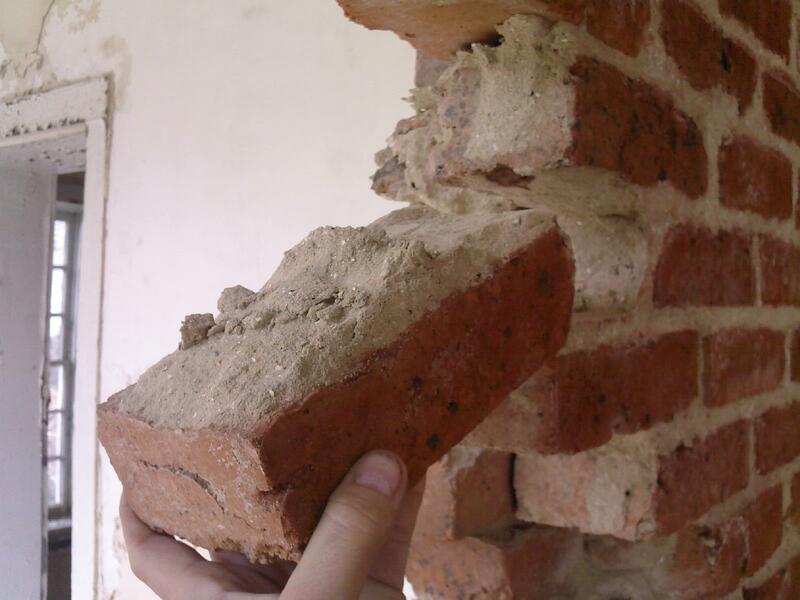 In the fourth and final step, mortar debris from the process should be removed by compressed air or a vacuum system. We do not use large amounts of water to flush out the debris during the cooler fall or spring months as it takes a long time for the walls to dry out especially the north facing elevations that do not benefit from the direct sunlight. We have unintentionally had efflorescence become an issue on some projects – waking up salts that lie deep within the masonry wall system due to excess water flushing.